Legitimate transfers to a trust are frequently lawsuit-proof. 3. Can a Successor in an Irrevocable Trust Be Removed? An irrevocable trust is like a turnstile: Once you go through it, you can't go back. Putting an asset in an irrevocable trust the correct way means it's no longer yours. In the event that you are sued, your trust's assets are generally safe. This doesn't mean, though, that an irrevocable trust can't be sued for other reasons such as estate disputes or fraud. If the trustee responsible for an irrevocable trust commits violations of the law using trust funds, it is entirely possible that the fund itself could be targeted in a lawsuit. Your trust is a legal entity, and if it does anything wrong, it can be sued. One example of this would be if your trust gets involved in a transaction that goes awry – for example, if the trustee uses money in the trust to buy real estate and the transaction runs into legal complications. Then your trust or its trustee would be liable for the misdeeds and can be sued. Putting your assets into an irrevocable trust can protect them from your creditors. Since they aren't yours anymore, there's nothing for the creditor to take. This is just a general principle, though. In some states, your assets might not be lawsuit-proof if you are the beneficiary of the trust, as they're still yours at least in part. With this in mind, you might need to not only put assets into a trust but also name someone else, like your children, as the parties that actually benefit from the trust. 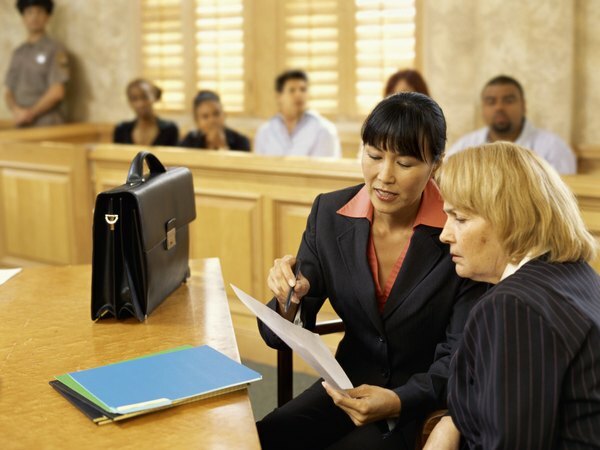 An attorney can help you understand your state's laws and how they affect you. Transferring assets into an irrevocable trust at the last second can also be a way to end up getting your trust embroiled in a lawsuit. For instance, if you own property, a creditor can file a motion that clouds its title. If you transfer the title into a trust, it can be clawed back out by courts, if it is determined you are trying to shield assets. With this in mind, transferring assets into an irrevocable trust long before they might pose legal problems can be the best way to protect them. While irrevocable trusts can help ensure that your estate is distributed according to your wishes after you die, they aren't perfect. A family member who disagrees with what you put in your trust and the rules that you set up for the trust could sue in an attempt to have it modified or vacated. State laws vary on how much a trust can be changed, if at all, and an attorney can help you understand what laws apply in your particular situation. LegalZoom: Are Living Trusts Exempt From Lawsuits? LegalZoom: Can a Living Trust Protect a Home From a Lawsuit? Who Should Be Trustee of My Life Insurance Trust?